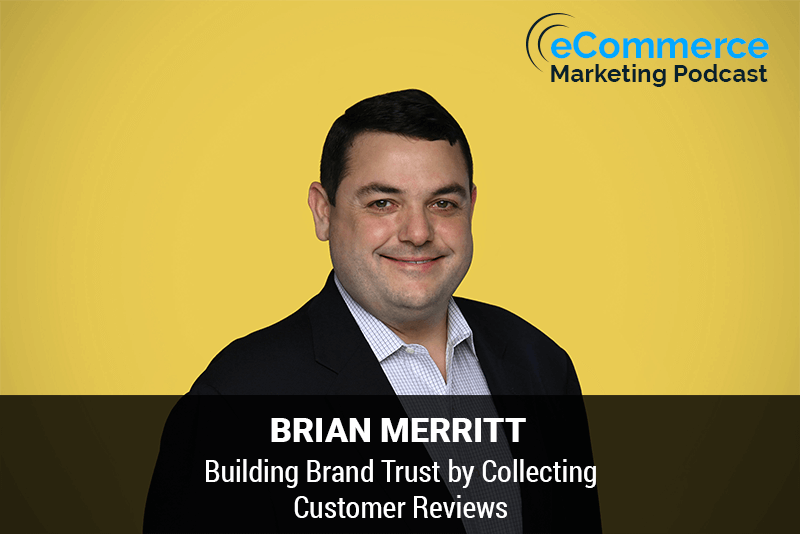 Brian Merritt is the VP of Customer Success at Trustpilot. His prime focus is ensuring Trustpilot’s 230,000-plus customers successfully adopt Trustpilot’s technology and see a return on their investment in customer reviews, including increased conversion rates, customer retention, brand loyalty, improved search engine results, and a steady drumbeat of customer feedback. Brian has nearly 15 years of experience in customer success and client-facing roles. Under his leadership, Trustpilot’s Customer Success boasts a client retention rate of over 90 percent and supports thousands of clients annually, from enterprises such as Western Union, JustFab, HomeBridge, TripAdvisor and Blue Apron to SMBs across the globe. Thanks Arlen. Thanks so much appreciated and hello to everyone out there and podcast land. Alright, well, we'll definitely welcome. Yeah, I'm really super excited to talk to you today Brian because I haven't really even though in the past episodes. I've talked about the importance of reviews. It's not something that we focused on in a whole episode. So I'm super excited to kind of dive into it because these days with e-commerce as we all know, it's it is all about getting those positive customer reviews. It's a super important but. You know before we get into all of that, why don't you tell me a little bit about your background and how you specifically got into what you're doing today. Yeah sure sounds great. So, you know, my background surprisingly is actually a software engineering and very early on in my in that part of my career. I realized I did not like sitting in a cubicle at the time because that's the old it. And running code so I started shifting my career path and doing more Consulting and over time. I really am started enjoying the customer facing aspects of working in the software space and working with companies and help them succeed and then, you know a while ago I kind of transitioned over to this customer success place and it's really it's really important to me and my team, you know, what will customer success does in terms of supporting our customers. Like you said, you know, we're here to drive adoption companies are making a decision to invest with my company we owe them nothing but the best. In terms of surely the ROI and why they signed up making sure that they're getting the transparency and the brand recognition and making sure you know as trust policy those is to create ever-improving experiences for companies and consumers. Well, I want to make sure companies have the ability to create ever-improving experiences for their consumers and for themselves. And that's really what I see customer success doing is creating ever improve experience working with trustpilot. Gotcha. Yeah, that's in there. Got you appreciate that and that's awesome. And actually we have a lot in common. You mentioned a couple things there your background is software engineering and kind of way back and that's my background as well. My major is computer engineering was emphasis on software. So. I did a little bit of that in my my earlier year. And so yeah the kind of like you I just wasn't the one to just be you know in a cubicle. Like you said just kind of coding all day. I kind of had enough after a few years and then eventually got into. The founding I missed our interactive and so you definitely have that in common. And also I am actually I do head the customer success team here at Omni Star as well. So I do know the importance of making sure that your customers are successful. So we've gone through a lot of efforts to do, you know would improve our overall customers experience and so on, you know, we kind of where some similar hats during a similar roles. So that's that's definitely good to know. It's one thing that I didn't that bother you. Yeah, that's great yet. I think it's so great. You know, the one thing I am appreciative of my tech background is it really does help bridge that Gap when customers are asking for features and functions and getting that feedback to my product team while I don't know what they're writing today because it has been a while languages are saying I do understand the kind of the natural limitations of what they can do, right exactly that definitely helps and I see that as well in my role here with the customer success team on our end because we're constantly getting requests. You know for features and different things, you know, because these days there's there's so much out there. There's so many solutions that have to talk to each other people want to do so many unique things. And so we we get pitched different ideas all the time and I kind of have to be the one that says, okay, it's possible and then relay all that to our developers. So that's definitely a good thing. So the topic for today of course is going to be. You know website reviews collecting reviews and the importance of that and the importance of how that really can build brand trust and help companies get noticed, you know, not only in search but also increasing their conversions on their own sites by showcasing these reviews. So why these days are online reviews so important specifically in the world of e-commerce, what do you. That is a meaty question to say the least. I think they're probably two or three tentpoles that I would put up and talking to the importance of online or use. The first is the reality is there's a conversation about your brand happening whether you want to admit it or not consumers are online they are looking for you they're looking information about you and. The reviews component is one element of that and you really want to participate in that conversation, which most companies should most companies do the review component is an important one is that the places in the number of places you can leave a review has blown up and you can leave reviews on Google on Facebook Yelp TripAdvisor trustpilot and then there are 500 other industry specific places, you know, there are specific place you go to leave reviews. Would College it. So the conversation is happening. So the review the review component is part of that conversation. I'd say the second element is really, you know in this day and age consumers are looking for social proof. The stats are out there that consumers are 87 percent more likely to listen to someone they don't even know over a brand, you know in companies work so hard to Define who they are online. That's great, but the consumers are looking for what are my peer saying about you? You know it is there a real living end, you know fake news and the trust issues that are out there. Who can you trust? Well, you know what, I'm pretty sure I can trust this other person over, you know, the Slick marketing person no offense to some of my best customers, you know, that's not what I'm implying there at all. I'm just saying the consumers are out there looking for that social proof. So that's really why reviews are this try the second reason why reviews are important. In the world of e-commerce in the third one actually touches on something that you kind of hinted alluded to around so many features or functions and products out. There is there are so many companies coming up online. There are so many companies out there and whether you're a challenger brand trying to disrupt the space here in and looking to establish a name for yourself or you are in a well-established brand who's been around for a hundred years having to defend themselves and either scenario those reviews are we're. So, you know you think about you know, there are I think 10 or 12 new mattress companies out there between a pastor in the like and how are you differentiating ourselves? You know sure they've got some great great product features, but fundamentally consumer. It's the mattress and box that gets shipped and you get to try it for a hundred days. But how are you different than your competitor? Well this feedback from your customers is showing how you're different and better. And showcasing those reviews about your products and your services and all that you offered in a great it was and how easy it was is awesome. So that's probably the three key things as to why online reviews are really important today. Yeah. That's that's awesome. You definitely hit it right on the on the head for sure Brian one of the things that you did mention also that I wanted to kind of piggyback on that really makes total sense is not only is there like a lack of trust among. Consumers and then when they see kind of like you said a slick marketing ad whether it's you know online whether it's on television or the various media is that people hear about companies. It's just you know, I think we're at the point where. People are so kind of accustomed to kind of getting what they want when they want as far as being the everything is so on demand and so because of all these on-demand types of offerings it almost has become disruptive to people when they when they get pitched something and if you know kind of it that's like the trust really kind of goes goes out of the window because of that because you're kind of a disrupting the. Customers experience and then also one of the things that I actually recently mentioned on a webinar when we discuss this very fact is that I think these days customers are kind of suffering from what I would consider. Consumer fatigue if you will because of all of the options and you mentioned this as well because there's just so much out there. There's so many options whenever you're looking to purchase something online. So with R in the e-commerce space and let's say the complete consumer space, you know, there is literally millions of different Avenues, you can go to to purchase whatever it is. Let's just say it's let's just say it shoes men's dress shoes. For instance. Of course, you've got the large online retailers. You've got the. You've also got the individual Unique Kind of Boutique type websites that have specific products then you know you then you have some of the larger kind of department stores type brands that are still out there and you know, the list goes on and on and so whenever somebody is looking for something it's just exhausting to go through things. And so if the validation can be done by. A positive review even if it's somebody that they don't know that really can increase the odds of somebody making a purchase because it's somebody that's a consumer just like them that has already kind of gone through done the due diligence try the product or service and it decided to pull the trigger. And so they I think people these days even though these reviews are coming from people. They don't necessarily know they put a lot more emphasis on that and. You know, I think the fatigue aspect of having to search through all these things has something to do with it as well and that those reviews really helped out a lot that would make one recommendation everyone listen to this podcast. If you haven't already go ahead and do a search on come on your company name plus the word reviews and just see what comes up. Yeah, that should give you a hint as the conversation that's happening up there. So, you know and if you haven't done that and you're scared about it, then that tells you something else too, right? Yeah for sure. You definitely shouldn't be scared of what's going to come back. Yeah. Well, that's exactly good point. Just do some due diligence just say your company name reviews what comes up where you listed and that that's a great starting point. I'm glad you mentioned that now, you know, as far as a business owners that are out. There are people that are behind the marketing teams of e-commerce businesses. What are some tips and strategies that you can recommend? To collect reviews from customers since everyone these days is so busy and everybody has so little time. What are some best strategies to get these from customers? There are a couple of key strategies that we work through our with our customers on in terms of collecting them, you know to your point earlier. We've got thousands of customers using our product and you know, our customer success team is is north of a hundred folks here globally. So to say that we have a little experience in this space has probably understatement in terms of collecting reviews, you know, one of the strategies we would recommend especially the e-commerce companies is something to do, you know post transaction post check out you've got the consumers attention. They just had a service experience on your website. They just went through and bought something and there's a difference here between product reviews and service reviews reviews are about the experience. They had working with your company on the website potentially how their returns win. If there was a customer support problem, they called in how did that work versus product reviews? How does the iPhone case I bought where the widget I met you sent me or the flowers you delivered me. How did that work? So I'm speaking primarily right now, but service reviews will touch on product reviews in a minute but service reviews. How was it working with you're working with a customer? I wasn't sure how was it with the consumer working with your site. So post check out it's pretty important and you know, and then the other thing is that we often recommend there too. Things that we recommend typically we see some of the best response times between 1:00 and 2:00 p.m. And if you think about your day and how you're spending your time, usually that's after lunch you pay, you know, you just have lunch you check it out, you know, you check it out brother Bleacher Report or whatever website you go to get your news BuzzFeed and then you know you checking your email real quick and then your personal email in the middle of the day. That's that's when people are kind of at their their downtime during the work day is kind of feel like it's at 1:00 or 2:00 p.m. Time. We just see that in the response rate. The other theory is you trigger them to have a review at the same the same time a day or two later as they made their purchase that may be a behavioral pattern for that person. We look at different products. And for example, we work with some domain providers the typical customer there tends to be developer and developers tend to work off hours. So it's not abnormal for them to be working at 10 or 11 o'clock at night. So for them to receive an invitation to review the the website, they just bought it 10 or 12 o'clock at night wouldn't be abnormal for. So it's a little bit of you want to think about what your demographic is and who your consumer is and when are they naturally inclined to be interacting with your brand and with your services? That's really interesting and I've never heard anyone put it like that. But that makes total sense. You really do have to understand the behavioral patterns of those customers to because it is all about kind of striking them at that right time and you know kind of catching them at that right time rather because just because of the inundation that everybody has with their work schedules. Social media and everybody else's, you know personal responsibilities that we have. So you really do have to catch it because if People's inboxes are. Or anywhere like my inbox and I'm sure yours is it's just like, you know, you can look at it in the morning. And then if we were to come maybe four or five hours later and then look at it there would be if you got one message that message that you got in the morning. Everything was not checked later in the afternoon that initial early morning message is buried somewhere, you know deep in your inbox. And so nine times out of 10 that that's not going to get looked at in two. A little bit later if not the next day. So you have to be cognizant of that. So that that really makes sense. I know Brian you mentioned another thing as well as far as. Getting reviews from a product based companies versus service based companies and you know that how they would go about doing it. What would be the difference actually if let's say, you know service based company for instance our company. I'm nice to our affiliate software software as a service company and we provide a service for our customers and online service, but I know there's a lot of other service based companies that could be the offline service companies. Maybe the let's say roofing companies or some type of service. Benny where they deal with Home Services those types of businesses works really the difference in how do they need to go about getting reviews? When we think about service companies at the end of the day your product is your service the roof the completion of the roofing job is your product similar to Omni star trustpilot is software as a service. So, you know, we have our own review collection strategy because reviews company and we've actually bought into our own reviews collection strategy and for us, you know, we typically invite a consumer to leave a review about our what. Our service one month after they've signed up in one month after they've renewed because that's when they had a chance to enjoy the benefits of our product or face the challenges with our product is very very honest with you, you know, so that's the important thing. So when you think about the service, you know, whether you're selling, you know to your point whether you're a contractor or your cleaning service or things like that, I think your product is still your service so you do want to have. An invitation speaks to how easy it was to book the appointment with you how easy it was to work with your sales team. How easy was it to understand what you're offering or buy something on your website if it's a physical good and then you want to trigger a product review invitation at a time when the consumer has had a chance to actually enjoy the use of your product and really understand it. So. You know in your example a roofing company, you might want to wait a couple of weeks. So there's a good rain storm. Right? Right. Whereas your cleaning service company, you know, you probably want to do it right away because because the consumers going to see they're nice clean environment. And if you're a property company went back to the mattress example, do you want to do it the first night there sleeping on it when it's but they wanted it after its kind of broken into right exactly if you're selling food before selling food products online. If your son Thanksgiving turkeys, you know, you probably don't want to wait too long because they just enjoyed that on Thursday that review on Friday. Right? Right. That makes sense. So you definitely have to be strategic. Yeah, whether it's a product company or Service Company you have to think about all those things and how they're engaging with your company and the timeliness of how they consume your product or your services and and then figuring out when they're going to be most likely. To provide some valuable Insight or you know valuable opinion, you know, one of the biggest things that I think there's a struggle for businesses that do collect reviews is. Combating negative reviews and dealing with these you know, of course, every business wants to have just all glowing reviews all five star reviews. And we all try to do is the best that we can to try to get those but you know to be realistic there's always going to be someone that for whatever reason does not have a positive experience with your company no matter what you do. And so you're going to get some of these unfortunate negative reviews. What do you think is what do you feel is the best way to handle this these negative reviews? And what's the strategy that you. Come in. Yeah. So first of all, the first thing we advise our customers do is to embrace the negative. If you're afraid of that you've got fundamentally core issues or the company most most companies don't have that problem. We talked earlier about that social proof when consumers see a website that has nothing of afford five star reviews not a single one star review that just doesn't it doesn't pass the sniff test it some cells wrong there. So we really encourage companies to embrace the negative you understand. What your company could have done better two knots this consumer doesn't have that experience because the thing to keep in mind is that you know, when people do leave it the negative review, you know, leaving reviews is similar most email marketing righty you get you have a ten percent conversion rate. So you're getting one negative review. That means they're nine other people out there probably who had a negative experience just didn't bother to leave you a review. So it's really important we talk to our customers about making sure that you're embracing them. And so one of the first things you can do in that that place is to respond to the review. Nothing makes a consumer more frustrated than voicing complaint and not having anyone follow up with them. So in trustpilot were an open platform anyone can leave a review about any company and every company paying or not paying has the ability to respond to that review and report that review of as they feels that a breach of our guidelines. So we encourage all customers to respond to their reviews and there are a couple of different steps, but they first you understand what the consumers issue is, you know have a support team proactively reach out that person to try and resolve it and then the final part there is is actually what a lot of companies don't do is closing the loop and great. We fix that customers problem. Now, let me go ask them if they would mind updating their review to reflect their complete experience with my company not just. The negative First of the first steps that they have with us. So that's really what I would say is when you get that and then I think there's a lot there's a lot to be blamed from your less positive reviews. We actually offer some tooling that sentiment analysis that kind of using natural language processing that lets you understand where your company is having issues at scale. So if you're consistently we have a we have a company a customer of ours to their subscription company. Clothing subscription company the very nature of their business model is they charge their customers are things like 1995 on the on the 5th of the month and you get some benefits from buying it and they send you a pony. I forget the exact model but it's one thing leads to breakage model right that you charge your credit card until you say no and you know, we went through and they they had all these great positive reviews about their price. On the back half of the month, but the first half of the month a lot of negative reviews and this can reserve said that their car is being charged. But by the end of the month, they were dealing with consumers were just signed up for their service and have enjoyed it. So they took that opportunity to say well, let's see. We acknowledge what our business model is, but they actually took that opportunity. You know, what we could probably could send consumers reminder email towards, you know a few days where they're going to build their car that hey. We're about to build your card. If you want to take a break. Here's how you do that. And just a little tweak caused all that noise about a lot of that noise died down. So taking those negative reviews and really understanding what people are saying and what you're offering can help you improve your company again, it goes back to the trust piles ethos, but creating ever-improving experiences for consumers and companies. We want companies to create ever-improving experiences for their consumers. And the way you do that is through negative reviews and not just negative reviews. Even four-star reviews. There's a lot you can before star review. That's definitely so true. And you know, one of the things that you did say is that you have to approach these negative reviews totally differently. I did what so many e-commerce businesses on a, you know, day-to-day basis, and I know just from experience in talking to these business owners. And people that are running marketing departments for these companies is that when they get negative reviews their first initial impulse is to really kind of be defensive. It's kind of get on the defense. It's almost like, you know, sometimes when you get constructive feedback from someone about your something that you're doing a lot of times you take that immediate defensive and you kind of clench up and you say oh no I could have done that and you really got to take a step back. I think when you look at these negative reviews like you said and analyze it because you have to realize that there's no. Vic organization and there could be something that just needs to be fixed. You know, most of the time negative reviews are you know are legitimate, you know, of course from time to time you are going to get some you know, nicely angry troll is exactly what you did is this customer was not gonna be happy. Yeah, right, right. We all we all get those and that that happens no matter what business you're in and you can't avoid that but for the most part. Real negative reviews are because of something that happened, you know a negative experience at that person did if they have they actually took the time and detailed in the review what happened and why they give you a negative review obviously, there's the problem there that you need to that you need to fix and I think reviews are a great way to even help a business. Some of the issues that they have so yeah, the reality is consumers consumers are out there and you know, we called the K curve from a review distribution perspective of you know, and a one and a five four three two one star scale, right? You need a lot of five stars some four stars a couple of three stars a couple of two stars and mostly one stars and if you actually draw that out, it looks like the letter K, which is why we call Decay curve when consumers don't see that they immediately have suspicions and their Spidey senses go off. You just think of the way you personally interact with reviews when you're searching for a company or product for your personal life your there in one of the first things people do is they go to the review side. They look for the one star reviews. I've heard a lot of great things about this company. I'm at this company because you know, my friend suggested it because I saw some compelling this Aubrey Facebook post about it. I saw a review they posted somewhere what don't I know but what's the other side of this company? And if consumers look through those negative reviews and say okay. Yeah, so they've got some shipping problems. Okay, that's fair. I can understand that. I don't need this jacket tomorrow morning. So it's a little bit late. That's cool. That's when they start making the trade-offs between do I want to buy from this company and what are what are the problems with buying from this company? Because like you said, it's human nature to get defensive and want to squash that review and report that review and delete that review and hide that review but it's also the that's the business side of our body our brain. But the personal life of our brain is like why aren't there some negative reviews about this company, right? Exactly. You know that makes total sense and I think the main thing with with these negative reviews is like you said being proactive and responding to them, even if you have a platform where you can actually respond to the review that's very key because like you said a lot of times when people are looking at reviews, you know, they've already gotten some positive feedback about the company maybe somebody recommended it to them. They're gonna. Just say okay everything sounded great my friend recommended, but let me just see what the problems are. So a lot of times people do go straight to those one star reviews. So if you've done your job as kind of responding to those and clearly saying, okay. Yeah, we did have an issue like you said with shipping but we have hired some additional staff and we've improved our shipping times to make sure these things don't happen on a consistent basis so stuff like that where people see that you gone out of your way to resolve the issue. So I think that's that's really very important. You know at the beginning of our conversation, you mentioned kind of a whole Litany of different review platforms, of course, including trustpilot. What I want to ask now is really is there an advantage to using a third-party review platform versus having your own homegrown review posting widgets on your site? What do you what do you think I think it out? David's first pilot or someone else that you know, obviously I've got a little biased around third party sites. I'm not going to suggest that they don't and turned into the pores of full transparency. But yeah, you know, I think the reason why companies like trustpilot can be successful as a third-party is because consumers are looking for that independent validation, right? You know, we've developed a Litany of guidelines and compliance process and Reporting tools that both consumers and companies can take advantage of so when you do get that troll, Who's out there in posting? Just you know malicious information about you want to review site. You have the opportunity as a company to defend yourself. That's an important aspect of the third party. But when it comes to the Homegrown reviews, it starts getting getting odd. Yeah, what will happen is consumers will go and they'll see reviews on your page. And then they want to know where they came from. What's the source and then they saying well, you know what I kind of said earlier. It's that social proof they're looking for. Yeah, so, you know, they're going to go out online and they going to do a search for brand name Plus reviews and if what they see online is markedly different than what they're seeing on your website if that's where you know, you start getting this issue of like, oh, they're just curating their reviews and they've got writer back there who's really slicking sound people right? Or they paid some firm to generate. Whole bunch of reviews from them. So that's where the third party validation comes into place is that you know, there's a third party or wedding these reviews ensuring that they're getting accurate reviews from consumers who have had an experience and also making sure that that consumers who are trying to slam a company or Shoal company aren't having their voice heard. So that's really the advantage of a third-party review platform. Then the other thing too is, you know, we talk a little bit about it in terms of search and how you rank in search but, you know trustpilot for example. We're in Alexa ranked. I think it's 700 Global website, but we're just real quickly. For those of you who aren't familiar with the Alexa rank. It's literally a list of every website in the world from 1 to 5 billion and how they rank for traffic. So, you know, Google's one Facebook is to Yahoo! YouTube Three, I think and my mother's website is 5 billion 400 example right there trustpilot transport ranks up there and then. So as a result of that the profile page on trustpilot is naturally going to rank well because we are a we're an authoritative website on reviews. We have high very high domain Authority. So the result of our Alexa rank in our domain authority mean when companies are typing brand name Plus reviews, the trustpilot age is coming up among some pages right? There are lots of review companies out there whether the Better Business Bureau or some of our other channel you have or JD Powers or some of those things like that. So when companies are. Doing searches am sorry when consumers doing searches for your company your brand name Plus reviews sure. We'd love for you to have a trust Polly widget on your website and have that page rank well, but your truffle profile page it will rank. Well. So therefore as a result when consumers are doing that that's kind of the difference between having a third party review platform as well as versus your homegrown a third retrieve the platform who specializes in reviews has high domain Authority and high results and search. Is going to come up to the top your own reviews page if it's just your own homegrown reviews is unlikely to do very well in search. Yeah, that really makes a lot of sense and you know for businesses that are kind of on the fence and dealing with our homegrown solution versus a third-party solution. You do have to think of it where businesses like yours that have such a high domain Authority. That's just almost like an added benefit were. Were these businesses are are just kind of thinking of all maybe if I have my home own homegrown widget. I can control the reviews that I put out that I only just show the positive reviews. And so but I think the benefits that like a third-party solution like yours dude kind of outweigh that for sure, you know, absolutely did it comes down to this our companies. Our customers have the domain Authority for their brand name. We have the domain Authority for reviews or Moz. Domain Authority is 92. For example, Google's 94 Facebook is a hundred Wikipedia's 89. We have more domain Authority around the around the word reviews than any of anyone and as a result the combination of your brand name plus the word reviews will pull the trustpilot profile page. What good is having your own reviews page? That's highly curated that doesn't reason that doesn't generate any results in search. Yeah, exactly. Exactly. It's just like, you know, it's just so you hear you're out there you're trying to do something but it's really not getting noticed by anyone. So you're you're better off you're definitely going with the more respected trusted review brand for sure. Now speaking of kind of trusted brand and brand Authority one a business starts getting these. Only reviews and you know, they're going to get positive and negative ones. But when they start getting some of the positive ones in the people that really have had a great experience and they've taken their time to document their experience. Those are the type of reviews that you really want to kind of show the world. What is the order some ways to get these types of glowing reviews out there? Yeah. So the you know, there are a number of different ways and some of the basic ones you have kind of what we just alluded to is putting a widget on your on your platform. To help, you know that key conversion points, you know it check out you even though it's 2019 and people are comfortable putting their credit cards and online. There's still that hmm little bit of hesitation. What am I about to do here and seeing the the great reviews just to the right of that checkout button is important. So he conversion funnels is one way to build that build up around Authority. But then really what you want to do is you need to get the reviews off your platform into other networks. So we've got a number of tools of trustpilot one of which is we call the image generator which will take. Then ask that you provide along with a review that you want to share and you can then get it out there. And we we offer the tools of formatted appropriately for LinkedIn and Facebook and Instagram. So that's really one place where you want to start using these reviews for your brand Authority on your Facebook page, you know, you want to have a reviews tab there. So people see the reviews while they're in Facebook and other clicking around because that's when they're interested in you right if they're if they're interested enough to go to your profile page and. Dedication of the click on the reviews tab within that profile page. So that's a great way to do it. And we find that a lot of a lot of companies are finding success using reviews and their trust Mark in their display ads consumer seeing that, you know one study we said they were 87 percent more likely to click on an ad that had reviews and Trust scores in it than nothing. So, you know, you're going through the effort of spending money on the creative. You going through the figuring out what the campaign should look like you're going through the effort of spending money in AdWords or Facebook or Instagram, but if you're not maximizing that click through rate of you're doing everything you can to squeeze every every bit of Roi out of that. He had asked why am I doing all this and when you put a review in that ad, you know, we've got case studies where companies have seen significant conversion rates. Another place that we find your very very effective Drug Lawyer use is actually in your cart abandonment program. Mostly Connors companies out there have you have the ability to send the consumers at that little reminder? Hey, you know you came over you you put the product into your cart, but you didn't finish the purchase, you know, there's a reason why they didn't finish that purchases and maybe when they just got busy and their mom called and they go deal their kids or could be they weren't sure. And if you're going to go through the effort of sending a car to Bandit email, that's a great way to promote your brand and build your brand Authority is by putting a review in that email, you know, because that's that's when concerns like oh, yeah, you know, I really do like what Joseph said there. That's right. Let me go back here and finish. I purchased the number of different ways. But the display advertising is one of them tweeting Out reviews are great. You know, we have a program here. We promote our customers who hit certain milestones and we tweet out views on their behalf. What? Our customers through folks just hit 300,000 views Celestia. That's the other thing too is you want to go out reviews? It's using the glowing reviews, but then you want you want to back that up with volume. And if you've got all you in there to support it is one thing to put out. Review that says your five-star. It just adds that little bit of credibility when you say and I've got five thousand reviews. Yeah anyone right? Yeah. Yeah that makes a big difference because it's you know, it's just like anything when you're purchasing something you see it's good to see the okay. You've gotten some five-star reviews, but it's always the volume and I know that for myself personally when I'm shopping on Amazon, you know, I may see a product where okay, maybe it has. You know, like I said a hundred or so five star reviews. Looks good. They don't have too many two or one star reviews at all. But then when I compare that to a product that's got two thousand five star reviews yet. You kind of got to see you. Okay, what's the the decision somebody's going to make they're gonna obviously most likely go with that company that has the two thousand years that that really makes total sense now, and I appreciate that because yeah, I was really curious about the different Avenues and. Of getting it out there, but it's not all about the five-star but it's about the quantity. So you definitely have to start getting reviews and collecting them as on a timely basis is I think that's the main thing here to take away and they'll that that'll happen to is when you when you create that volume of reviews and we've seen this because we've got thousands of customers. What will happen is over time? The influx of negative reviews is just going to consistently be outweighed by the influx of positive reviews and most of our customers who are inviting other say at scale and Collective scale are between a 4.3 and 4.4 you think about a company like Thrift Books with 300,000 reviews. It's going to take something catastrophic that business to do have a trust for drop there any to get hundreds of thousands of negative reviews. That's just. So it actually kind of liberate you do when you have more reviews because then you don't have to you know, you still want to reply you still want to address the negative reviews, but they just get swamped out and drowned out by the volume of positivity. Yeah. Exactly. Yeah. The reality is most most companies. If not, all companies are good actors trying to do the right thing. Other customers I mean I'm assuming that's a hundred percent of your audience right now. The reality is, you know, you don't want to fear the you're going to get some negative reviews. Don't fear them accept and embrace them and just know that the more you invite the less. Wait that they actually end up having in your review mixing your review score and you know, when consumers look there they're going to trust you more because you've got some right right? Definitely. Yeah, that's that is for sure and I think that's really the main takeaway for people that are leery about reviews is this don't shy away from those negative reviews and just embrace them and then learn from them and see how you can improve your business. Well Brian, we really appreciate you coming here on the e-commerce marketing podcast. You have provided a whole wealth of information. About online reviews, which is the truly a Hot Topic these days all over the Internet and throughout all of the channels and social channels. So definitely thank you for coming on and what I like to close out with is just kind of a change of Gears here and just wondering what me more about yourself and what's one thing that our audience would be surprised to know about. Oh gosh, thanks for that. Yeah, so like your version two truths and a lie, right? Yeah. No, I think little facts is that I am actually a licensed New York City Tour Guide. So I moved here a number of years ago and I said to myself what's the best way to learn about New York City and he's like, well I go take a tour. But what if I became a tour guide that I wouldn't know it so I've never actually provided towards but to my friends it's not a it's not like my nighttime job, but I did go ahead and I studied for the test. And it taught me everything. I want to know about the history of New York and the cool spots and just the interesting things city that you just don't know. Hmm. So I think that's that's I'm not sure if it's still valid because it was number of years ago pot. Gotcha. I was a licensed New York City Tour Guide. Okay. Wow. Yeah, that's probably one thing I wouldn't have guessed for sure for sure. We another definitely comes in handy. I never thought about that. We had that's definitely a great way to find out about a city. And I know that comes in handy, especially when you have out of town guests and people visiting your really knowledgeable about about the area. And so yeah, I know that comes in handy for sure, you know, we with your relations with friends families and colleagues. All right. Well awesome Brian, will you thanks for that for that tidbit? I appreciate that. And I you know, finally if any of our listeners want to get in touch with you and pick your brain a little bit more about online reviews. How would they do it? Well the hit me up a LinkedIn or they can just shoot me an email. It's pretty easy. It's Brian that trustpilot.com. Okay, great. What that's awesome. What thanks. Again Brian for joining us today on the e-commerce market for having me. It was a lot of fun. All right. Thank you. Thank you for listening to e-commerce marketing podcast. Do you need to get more feedback and reviews from your customers and improve your customer retention. We have made it easy to do all this with our customer feedback software. Just visit OSI feedback.com and sign up. Free trial today that's OSI feedback.com. If you've enjoyed this episode of the e-commerce marketing podcast be sure to rate review subscribe and share it with everyone, you know.